Dubai: If you're vexed by the rules of the road in Dubai now, spare a thought for the city's poor motorists on the morning of September 1, 1966. At 5am, it was all change literally, from driving on the left, or British side of the road, to driving on the right, or wrong side, if you would have it. And things were particularly bad if you were driving towards Abu Dhabi — because as soon as you crossed into its territory, you had to revert back to driving on the left — which for them was the ‘right' side of the road. So too were the few drivers in Dubai and the other Trucial States back then. The precursor to this new-fangled way of driving was issued by an ‘Important Notice' from the offices of Dubai Municipality at the corner of Old Baladiya Road at Dubai Creek on the Deira side. Signed by the then director of the municipality, Kamal Hamzah, on August 15, the notice gave two weeks warning of a ‘Change in the Rules of the Road'. And with typical bureaucratic understatement, the notice advising of the change from driving on the left to the right was decided by the Trucial States Council and said: "In notifying the public it is hoped that they will follow the news system with great care for the preservation of road safety and in order to avoid the occurrence of any possible accidents. Abu Dhabi's administrators took months to follow suit. But then again, the likelihood of meeting oncoming traffic was rare. Dubai's population was only around 3,000 and few could afford cars. Instead, the road to Abu Dhabi was more of a series of rutted desert tracks, well used by smugglers to avoid excise taxes on goods between the two ports. And if you are stuck in traffic, consider that it was only 50 years ago that Dubai had its first paved road — Al Seef Road. Up to that, Dubai's roads were built using pebbles and mud. You had to wait another seven years for street lights — Dubai Municipality proudly switched on the power to street lights in 1967. These gems of historical knowledge are all packaged up in the Dubai Municipality Museum, a two-storey attraction off the well-beaten track. A small stairway and an Emirati gentleman with a welcoming smile are the only signs pointing to the early chapters in Dubai's history and development. "We get about 25,000 people a year," beams Yousuf Mohammad Sulaiman, the curator and employee of the Architectural Heritage Department at Dubai Municipality. That figure is a little generous, perhaps. When Gulf News visited earlier this week, a middle-aged Australian couple were relaxing watching a four-minute film detailing the city's growth in a room which was once the meeting chamber of the council. "When you look at the city now and all that it has to offer, it's hard to believe that just 50 years ago, there were just 3,000 people living here," Sulaiman says. "The municipality was set up in 1954 and there were just six people working there," he says. Abdullah Bin Jamaan was the first official appointed to this new entity, and Ali Al Bustani was appointed secretary general of the municipality in 1957. Back then, the sleepy city around the creek was run from a single room over the customs building in Bur Dubai near the Court of the late Shaikh Rashid Bin Saeed Al Maktoum, then Ruler of Dubai. When the municipality moved across the river to the current home of the museum in 1957, Dubai's official revenues were Dh207,000 — expenses were Dh233,000. In modern terms, the entire city was being run on the price some pay today for renting a villa for a year. 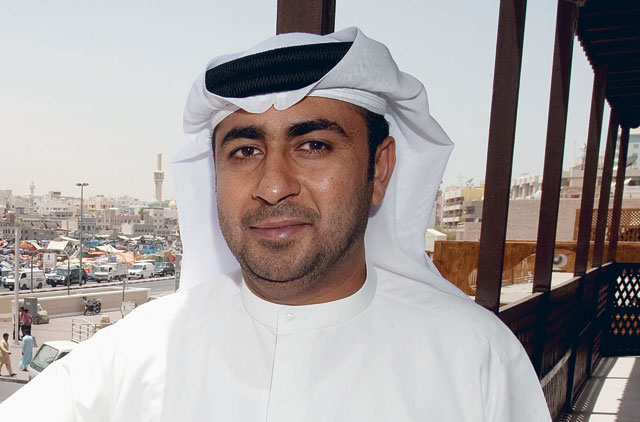 You can gauge Dubai's growth by the increase in the municipality's budget over the years. Oil was tapped in Dubai in 1969. The year before the city administrators collected Dh4,659,000 in revenues. They spent Dh2,965,000 on sanitation, lighting and administration. Fast forward to 1980 and the municipality had revenues of Dh94 million but was spending Dh375 million. Today, its budget runs into billions of dirhams. "Back then the municipality was pretty much responsible for everything," Sulaiman says. Official seals stamped ‘Beef', for example, show its public health responsibilities were pretty much limited to running the abattoir. Those public health duties were quickly expanded to monitoring the cleanliness of cafes and bakeries, ‘confiscating decayed foods' and later, being responsible for burying the dead. According to official documents, the first sanitary drainage project in Dubai was carried out in 1962 and cost £35,000. With the city growing, there were new demands on the city administrators. In November, 1964, for example, a new rule from the officials ordered all new births in Dubai to be registered. From the first-floor veranda and looking across the creek, it's possible to get a sense of what Dubai was like back in the early 60s. Dhows, which made Dubai an important trading centre then, still line the creek; abras still ply across its waters. The building housing the Baytal Waheed Restaurant was there fifty years ago, so too the old fort, but upstream, the bridges and buildings were scrub, dust, desert and shore. When the municipality operated from the Deira building between 1957 and 1964, building codes were new. In 1961, city administrators ordered residents not to construct new buildings before obtaining a construction permit. The first construction law came in 1970. But at least the officials were planning ahead — they approved seven styles of road signs in 1965, including how to set a speed limit. There was no mention of speed cameras. How things have changed! No parking: Prior to January 1960, you could pretty well park where you wanted. Not that there were many cars — the first official mention of a vehicle in Dubai dates back to 1932. Quiet, please: The first public library in Dubai was set up in 1962. The late Shaikh Rashid Bin Saeed Al Maktoum wrote a letter on behalf of the Municipality asking the Minister for Education of the Syrian Arab Republic to assist with setting up a library in Dubai. 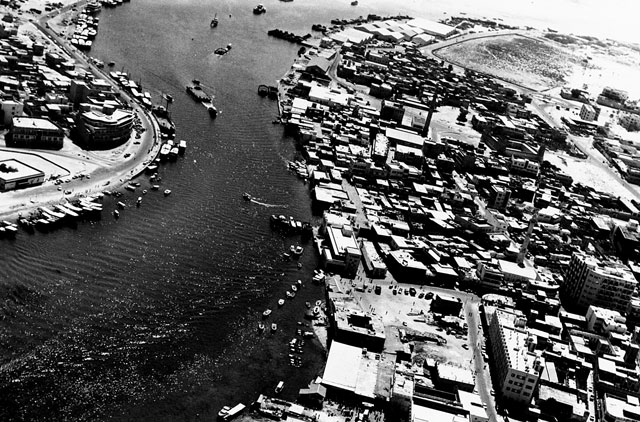 Fresh fish: New fish and vegetable markets were established in 1963 in Bur Dubai and Deira, helping impose public health regulations and improve the quality of produce and fish to the city's residents. 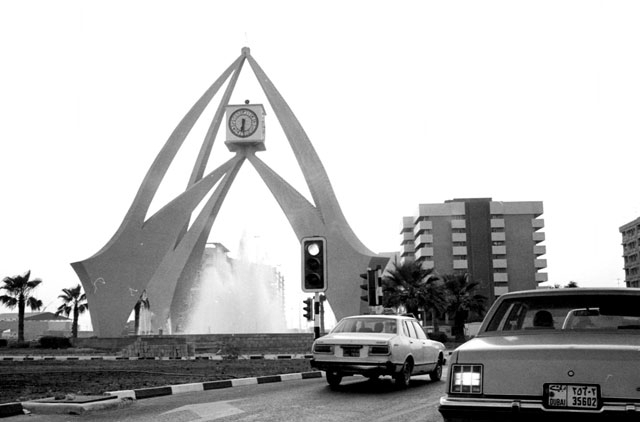 Time for change: Deira clock tower was completed in 1963 on the outskirts of the city. Good luck finding it after dark — street lights only came in 1967. A brighter future: The Flame Roundabout was completed in 1969 and celebrated the production of the first barrel of oil that year. 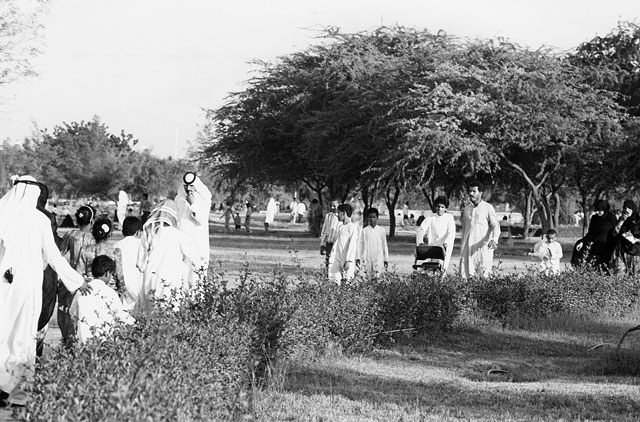 Going green: Both Al Safa and Mushrif Parks were completed in 1976, marking a milestone in the city's beautification and beginning of environment awareness. Going underground: The 560-metre long Al Shindagha Tunnel was completed and opened to traffic in 1975. River crossings: The first bridge spanning Dubai Creek was the 450-metre Al Maktoum Bridge, followed in 1976 with the opening of the Al Garhoud Bridge, some 600 metres long. Making history: A letter issued by Shaikh Hamdan Bin Rashid Al Maktoum in 1969 to Shaikh Badr Mohammad Al Sabah, head of the office of state in Kuwait, asked for a museum expert to be sent to Dubai to help establish the Dubai Museum.